I'm not sure how to write this post as I'm going to sound so judgmental. This is probably because I'm being judgmental. After all I am the typo king. Who am I, right? I've just seen people do things correctly, and I've seen people do things incorrectly and I can spot the difference. With this in mind, this is my opinion in this post. I was on ODesk and I saw where someone needed help with their Podcast in iTunes. I went over to see if I could help. I read the post, and just shook my head. Jeff Gaudette (or someone associated with Jeff) of the runners connect podcast just doesn't get it. For the rest of the post I am saying as the host, and CEO of his company, Jeff is aware. Here is the Post that Runners Connect put out on oDesk. Someone is trying to cheat. Someone is trying to pull ahead of those who have done the work. He I (I'm assuming they are male) is looking for an advantage. He is trying to put his podcast growth on steroids. If anyone should understand the importance of doing the work it should be a runner. Put on your shoes and go find your audience! Someone wants people to do something for him, but he hasn't even spoken to his audience. His podcasts are the audio of interviews that he did over skype. These are videos that are on youtube (great idea – bad execution) and he is talking to his guest, but he never addresses his audience. He is trying to connect to people, but lists ZERO ways of contacting him (because the videos were always planned to be viewed on his website). I get it, but an intro and outro would boost the effectiveness of your efforts here. 2. They have five episodes (most podcasters don't make it past seven). 3. They allowed Podomatic to submit his podcast to iTunes (see image to the right, and video to understand concept). This (potentially) means when his audience does grow, he will get frustrated with Podomatic (I've seen this happen over and over). He will then try to move to a self hosted WordPress website with a real media host like Libyn.com. He will probably lose a chunk of his audience during the switch and quit. What's weird is Runners Connect has a website that is using WordPress. He had the right tools and didn't use them. Podpanic is when you've gone through all the hard work and you've put out less than seven episodes. You panic because you thought you'd be on Good Morning America by now. Heck you're not even on Good Morning Akron. Things are not going as you had planned. Extended periods of Podpanic lead to podfading (when you quit). When a person podcasts because they LOVE the subject, they don't care how many reviews that have in iTunes. Yes, we all want an audience. Why not ask your fans to review you and get legitimate honest reviews? Instead we all want to “flip the switch” and get thousands of downloads. Please learn this. The Instant Audience Switch doesn't exist. Every podcaster starts with zero downloads. (<<Click to tweet this). I find it interesting that in their first episode (apparently recorded in front of a fan – a classic first episode), another host coaches the listener about “Long Term Results.” He tells the listener to think about “10 weeks down the road.” They started his podcast in February, quit for four months, and now has put out a few episodes in June. That doesn't work when you're training, and it doesn't work in Podcasting. Consistency is HUGE. I don't understand this as his website has a fairly active blog. Why not take this content and talk to (not at) your audience? Instead of spending $20 on 30 fake reviews, why not spend that $20 on business cards that promote your website. Then you can go to your local high school track meet and hand them to the teams (there will be at least two, and if you go to a regional you can hit a whole bunch of runners). Why not spend some time on twitter connecting with people. Why not take that $20 and buy the book Platform: Get Noticed in a Noisy World by Michael Hyatt? Why not go to fiverr.com and get a voice intro, and Amazon and buy some Royalty Free Music and create an intro for your podcast to give it a little polish. Runners Connect has good content. Jeff is doing interviews (be sure to tell your guests when their episodes go live and provide them links to hand out on twitter and facebook). 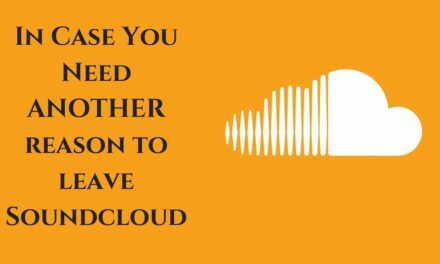 Why not reach out to other running podcasts and see if they are interested in doing a little cross promotion. This could be as simple as each host recording a “Hi this is Jeff from the runners connect podcast and you're listening to the ___ podcast” and they do the same for you. Why not add some information about how your audience can connect with you? I had a teacher once that asked a great question. If there was a way to steal and never get caught, don't you think someone would've discovered it by now? Tomorrow I'll be talking about my experience with Cheating. Have you ever cheated? Did it work for you? Leave your comments below.